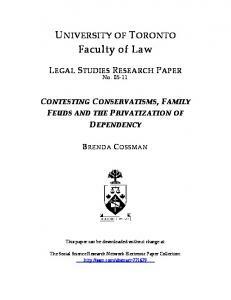 relationship between rates of compliance with judicial remedies (remedy ... Higgins linked between international law's systemic welfare and compliance with ICJ. 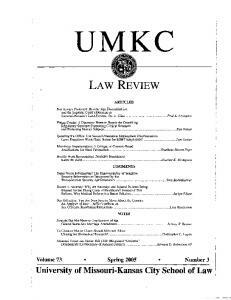 Social Science Research Network Electronic Paper Collection http://ssrn.com/abstract=2274404 ... University of Iowa Legal Studies Research Paper 13/16. 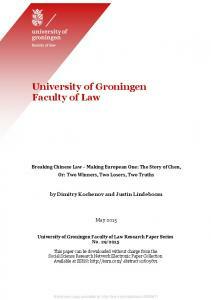 Chair in EU Constitutional Law, University of Groningen. ... Groningen 2014); Malgosia Fitzmaurice and Olufemi Elias, Watercourse Co-operation in Northern. ISRAEL, HIZBOLLAH, AND THE SECOND LEBANON WAR Yaël Ronen∗ ABSTRACT This article analyses ius in bellum questions arising from the 2006 war in Lebanon between Israel and Hizbollah. In particular, it examines Israel’s claim to self-defence, Hizbollah’s and Lebanon’s international responsibility for the attack to which Israel responded. The analysis highlights the evolving role of irregular forces, and its impact on existing international legal norms. In particular, the Lebanon conflict re-introduces, albeit with new characteristics, an old challenge, namely the regulation of conflict between a state on the one hand, and an irregular force acting from the territory of a passive neighboring state, on the other hand. Tentative conclusions offered are that the wide acceptance of Israel’s claim to self-defence, in a marked difference to past reactions, reflects the shifting attitudes towards acts of irregular military forces, particularly when characterized as terrorist acts. Second, there appears to be greater acknowledgement that the term ‘armed attack’ must be interpreted with elasticity to accommodate not new, but increasingly visible, phenomena. Finally, the recognition of a right to self-defence against an irregular force requires a more careful exploration of the relationship between the victim state and the host state. For example, the extensive criticism of Israel’s excessive use of force may eventually overshadow the acknowledgement of its right to self-defence. This conflict is therefore likely to play a role in the development of international law in many of the issues considered here. © Yaël Ronen, Postdoctoral fellow, Minerva Center for Human Rights, Hebrew University in Jerusalem. Email: [email protected] This article will be published in 9 Yearbook of International Humanitarian Law (2006) (forthcoming, 2008). 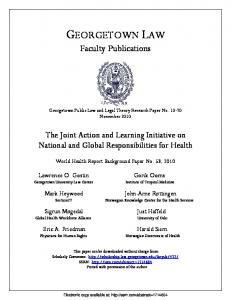 I am grateful to the editors of the YIHL for permitting the posting of this article on SSRN. I am grateful to Dr. Yuval Shany on his comments to an earlier draft of this article. I am also grateful to Ms. Avril McDonald and to Prof. Mary Ellen O’Connell for sharing with me their opinions on certain issues. e.g., General Assembly A/49/60 Measures to Eliminate International Terrorism 17 Feb 1995, Security Council res. 1373(2001), Report of the High-level Panel on Threats, Challenges and Change, UN Doc. A/59/565 (2 Dec 2004). 2 For a concise description of the problem see Report of the High-level Panel on Threats, Challenges and Change, ibid. paras. 157-164. 3 R. Müllerson, ‘Jus ad Bellum: Plus ça change (le monde) plus c’est la même chose (le droit)?’ 7 Journal of Conflict and Security Law (2002) p. 149. 4 The relevant element in the definition of terrorism in the Report of the High-level Panel on Threats, Challenges and Change, supra n. 1 is “An act… that is intended to cause death or serious bodily harm to civilians or non-combatants, when the purpose of such an act, by its nature or context, is to intimidate a population, or to compel a Government or an international organization to do or to abstain from doing any act”, para. 164. 5 Identical letters dated 12 July 2006 from the Permanent Representative of Israel to the United Nations addressed to the Secretary-General and the President of the Security Council A/60/937–S/2006/515. On the night of 12 July, the Israeli Government decided unanimously to respond by military action. The Israeli Defence Forces (IDF) immediately began a military campaign.6 The Lebanese Government, for its part: ‘…was not aware of and does not take responsibility for, nor endorses what happened on the international border’.7 Hizbollah Secretary-General Nasrallah revealed that Hizbollah had been planning the operation for almost five months and confirmed that the Lebanese Government had not been informed of the plans.8 In the ensuing conflict, Hizbollah fired 3,970 rockets at Israel, expressly targeting civilian communities.9 Israel carried out over 8,700 flown sorties over Lebanese territory and over 2,000 coastal bombardments towards it.10 The fighting ceased with the entry into force of a UN-brokered cease fire on 14 August 2006. By 1 October the IDF had completed its withdrawal from southern Lebanon.11 According to official Lebanese sources12, 1,191 Lebanese were killed and 4,409 injured. These figures do not distinguish between civilians and Hizbollah fighters. Israel claims that over 530 Hizbollah fighters were killed.13 In addition, over 974,000 Lebanese were displaced.According to official Israeli sources, 43 Israeli civilians and 117 IDF soldiers were killed during the conflict.14 Close to 4,300 civilians were treated in hospitals for injuries. Some 300,000 civilians were displaced and more than a million were forced to live in underground shelters. Originally called ‘due remuneration’, then ‘Operation Change of Direction’, and since March 2007 officially called ‘the Second Lebanon War’. Government Decision 1468 of 25 March 2006. 7 N. Qawas and R. El Rafei ‘Siniora's Cabinet makes clear it had nothing to do with ‘what happened’’ The Daily Star 13 July 2006 ?edition_id=1&categ_id=2&article_id=73930>. All internet sources were last checked on 15 May 2007. 8 ‘Nasrallah: ‘Only exchange will win back troops, “Whole world will not be able to retrieve 2 captured ‘Israeli’ soldiers except through indirect negotiations’’’ Daily Star (Lebanese Daily Newspaper) 13 July 2006 . 9 ‘Hezbollah chief threatens a wider war’, Aljazeera 4 August 2006, http://english.aljazeera.net/English/Archive/Archive?ArchiveID=24741>. 10 IDF spokesperson . 11 except from the village of Ghajar. The withdrawal was confirmed by UNIFIL ‘The IDF withdraws from the south, except Ghajar’ UNIFIL Press Release 1 October 2006 . Until 1967 Ghajar was a Syrian village on the Syrian-Lebanese border. It was occupied by Israel during the Six Day War. Apparently the northern part of the village was then already inside Lebanese territory. When Israel withdrew from Lebanon in May 2000 the UN drew the ‘Blue Line’ running through the middle of Ghajar at its narrowest point, cutting it in two, with the northern part inside Lebanon, and the southern part inside Israel. At the time of writing, all villagers hold Israeli citizenship. This complicates the process of withdrawal. Israel carried out a further withdrawal around Ghajar on 7 November 2006. ‘IDF withdraws from most of the surrounding area of Ghajar Village this afternoon’ UNIFIL Press Release 7 November 2006 . 12 Lebanese inter-ministerial High Relief Commission, . 13. In December 2006 Hizbollah official Mahmoud Komati admitted in an interview to AP to some 250 Hizbollah fighters killed . 14 Website of the Israeli Ministry of Foreign Affairs . J. Brandon, ‘Factfile: Hezbollah’, ; D. Sobelman, ‘New Rules of the Game: Israel and Hizbollah after the Withdrawal from Lebanon’ Jaffee Center for Strategic Studies Memorandum No. 69 ch. 1 ; P. Salem, ‘the Future of Lebanon’ 85 Foreign Affairs (2006) p. 13 at 20. 16 D. Berkovich, ‘Hizbollah’s Primary Agent of Change: The Role of the Lebanese Army’ 9 Strategic Assessment (November 2006) p. 28 at 30. 17 This area was under Syrian sovereignty when Israel occupied it in 1967, and accordingly Israel contends that it is not Lebanese territory. This position is backed by the UN. Lebanon and Syria (as well as other Arab and Muslim states) contend that this area was ceded from Syria to Lebanon and accordingly is Lebanese. Interestingly, this argument only came to light shortly before Israel’s withdrawal from Lebanon in 2000. See C. Mallat, ‘The Hezbollah-Israel War: Narratives and ‘Legal Truth”’ Jurist 28 July 2006 . For a historical and legal analysis of the issue see R. Erlich ‘Raising the Issue of the Sheba’a Farms in the Proposed AmericanFrench Security Council Draft Resolution for Ending the Fighting: Background Information and Significance’ Intelligence and Terrorism Information Center at the Center for Special Studies 9 August 2006 . 18 Hizbollah’s account of the events that sparked the confrontation is as follows: July Wednesday 12, 2006 At 9:05am: Fulfilling the promise it pledged [to return Lebanese prisoners held in Israel], the IR [Islamic Resistance] captured two “Israeli” soldiers on the occupied Palestinian borders and moved them to a safe place. ‘Chronicle of heroic confrontations between Islamic Resistance (IR) fighters & “Israeli” occupation soldiers according to IR statements’ ?filename=20060713174217122>. Nassarallah emphasized the aim of the abduction in a press conference on 12 July 2006 . 19 In the resolution the Security Council: ‘3. Calls for the disbanding and disarmament of all Lebanese and non-Lebanese militias; 4. Supports the extension of the control of the Government of Lebanon over all Lebanese territory;’ 20 ‘Hizbullah attacks along Israel’s northern border 2000-2006’ . AFP lists 21 incidents during the period until the end of October 2003, Sobelman, loc. cit. n. 15, Appendix. Western view is that Hizbollah is a terrorist group.21 In contrast, the majority of the Lebanese population as well as many non-Western States regard Hizbollah as a resistance movement against Israeli aggression.22 In the 1990s Hizbollah expanded its activities to the political and social arenas.23 It has since participated in parliament and Government24 and enjoys considerable political clout. 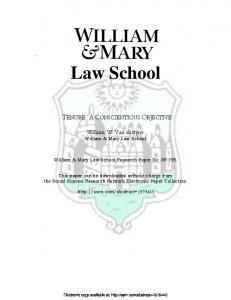 It is a partner whose consent is required in the decision-making process on major issues in the country.25 2. THE EVENTS OF 12 JULY AS AN ARMED ATTACK The immediate triggers of the conflict, namely the abduction and killing of the Israeli soldiers and the firing of rockets toward civilian communities, were carried out by Hizbollah’s use of force. The question is whether this force amounted to an ‘armed attack’ under Article 51 of the UN Charter.26 First, since a right of self-defence only arises in response to a use of force that was unlawful,27 the following section examines the legality of Hizbollah’s action. Subsequent sections examine whether the specific use of force amounted to an armed attack. 2.1 Legality of the 12 July Attack Israel claims that Hizbollah’s act on 12 July was a terrorist act. Hizbollah claims that it was resisting Israeli aggression, in defence of ‘natural rights’ supported by international law.28 These claims represent different narratives of the immediate conflict and its wider political and historic dimensions. While they run parallel to each other with no meeting point,29 they are not outside the scope of legal analysis. e.g., US Foreign Terrorist Organizations 11 October 2005 , S/PV.5489 (14 July 2006) p. 10; Canada: Terrorist Organizations Listed under Regulations Establishing a List of Entities made under subsection 83.05(1) of the Criminal Code; UK: List of Proscribed Terrorist Organizations Under the Terrorism Act 2000 (External Security Organization only); Netherlands: ‘beantwoording_toezegging_inzake_de_positie_van_hezbollah’ The Netherlands Ministry of Foreign Affairs ; Australia: List attached to the Security Legislation Amendment (Terrorism) Act 2002 (External Security Organization only); European Parliament: Resolution on the Situation in Lebanon Official Journal 320 E , 15/12/2005 p. 0257– 0259. Slovakia, S/PV.5493 (21 July 2006) p. 18 on the specific acts. 22 Sobelman, loc. cit. n. 15, at pp. 59-60. . e.g. Algeria: ‘Unless one wants to make entire peoples disappear from the face of the Earth, legitimate resistance to occupation will not go away as long as the causes that have given rise to it are not eliminated’, S/PV.5493 Resumption 1 (21 July 2006) p. 21; Cuba: ‘Those allegations are merely part and parcel of an elaborate Zionist scheme to break resistance to aggression and invasion in the region’, ibid., p. 31. 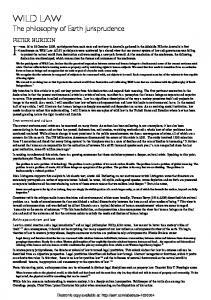 23 ‘Implementation of General Assembly Resolution 60/251 of 15 March 2006 Entitled ‘Human Rights Council’’ Report of the Commission of Inquiry on Lebanon pursuant to Human Rights Council resolution S2/1, UN Doc. A/HRC/3/2 (23 Nov 2006) (‘HRC Commission of Inquiry’) para. 37. 24 In July 2006 Hizbollah held fourteen seats in the Lebanese parliament, and was represented by two ministers in the Government. 25 Berkovich, loc. cit. n. 16, at p. 30. 26 The other question, whether an irregular force is capable of carrying out an armed attacked, is addressed below at 3.1 Self-Defence following an Attack by an Irregular Force. 27 ‘there can be no self-defence against self-defence’ USA v. von Wizsaecker et al (Nuremberg 1949), 14 NMT p. 314 at 329. 28 Nasrallah statement, supra n. 8. 29 Mallat, loc. cit. n. 17. It is important to remember that this crisis was precipitated by Hizbollah. Its militants crossed into Israel and killed eight Israeli soldiers and kidnapped two more. This is a calculated attempt by Hizbollah to further destabilize the region, without the slightest regard for the potential impact of its actions on the people of Lebanon, the Lebanese Government and the wider region; The other camp comprised many Arab and Muslim states that condemned Israel as the aggressor, usually with reference to its occupation of Lebanon (the Shab’a Farms area), of the Palestinian territories, or of both, as the immediate source of the conflict.40 Some hailed Hizbollah’s actions as resistance to occupation.41 However, perhaps the most striking about the Arab response was its absence. Many States remained silent for days. Some, such as Egypt, Jordan and Saudi Arabia, expressly criticized Hizbollah in an Arab League’s emergency summit.42 While this criticism was not framed in legal terms, it casts doubt on whether Hizbollah’s acts can be justified on grounds of self-determination. Security Council Resolution 1701(2006) points to Hizbollah’s attack as the trigger for the conflict.43 The Commission of Inquiry appointed by the Council of Human Rights,44 despite not being mandated to address jus ad bellum matters, also referred to ‘Hezbollah’s illegal action under international law of 12 July 2006’ as the trigger for the conflict.45 To summarize, although there is no clear consensus on the matter, it is difficult to provide a legal basis for Hizbollah’s use of force under international law. 2.2 Gravity of the 12 July 2006 Attack In the Case Concerning the Military and Paramilitary Activities in and Against Nicaragua (Nicaragua v. United states of America) (‘Nicaragua’) the International Court of Justice interpreted Article 51 as setting a threshold of gravity for the qualification of an act as an ‘armed attack’.46 This controversial47 requirement was reiterated in the Case Concerning Oil 40 Lebanon: ‘The Lebanese Government condemns and denounces the Israeli aggression, which is a blatant violation of all international resolutions, laws, conventions, and customs. I need not explain to you who is the victim and who is the aggressor, since Israel’s military operations are clear acts of aggression and devastation aimed to bring Lebanon to its knees and to subvert it by any means’, S/PV.5489 (14 July 2006) p. 5; see also statements by Syrua, Egypt, Iran, the Arab League and the Committee on the Exercies of the Inalienable Rights of the Palestinian People, supra n.34, as well as Malaysia speaking on behalf of the Non-Aligned Movement, quoting UN Doc. S/2006/491, S/PV.5493 Resumption 1 (21 July 2006); Saudi Arabia: ibid., p. 20; Jordan: ibid., p. 24; Djibouti: ibid., p. 31; Bolivia: ibid., p. 36; Cuba: ibid., p. 37; Sudan: ibid., p. 38; UAE: ibid., p. 42-3; Pakistan: ibid., p. 44. China: S/PV. 5489 (14 July 2006) p. 11. 41 E.g. Algeria: S/PV.5493 Resumption 1 (21 July 2006) p. 21. 42 New York Times, ‘Militia Rebuked by Some Arab Countries’ 17 July 2006 p. 1. These positions were guided not by legal concerns but by political frustration with Islamic extremism and with Iran. E. Landau, ‘Reactions in the Arab World: Blurring the Traditional Lines’, 9 Strategic Assessment (August 2006) pp. 17-19. 43 SC res. 1701(2006) preambular para. 2. The Resolution nonetheless requests the UN Secretary-General to develop proposals to deal with the Shab’a Farms area (operative para. 10). This can be read as a political victory to Hizbollah, even if not a legal recognition of its claim. 44 The Commission of Inquiry can hardly be accused of a pro-Israeli bias, e.g. H. Upton, ‘The Human Rights Council: First Impressions and Future Challenges’, 7 HRLR (2007) p. 29, at 39; UN Watch, ‘Reform or Regression? An Assessment of the New UN Human Rights Council’, 6 September 2006, . 45 HRC Commission of Inquiry, supra n. 23, para. 61. 46  ICJ Rep. 14, para. 191 47 e.g R. Higgins, Problems and Process (Oxford, OUP, 1994), p. 251; Müllerson, loc. cit. n. 3, at pp. 180-181; Nicaragua, loc. cit. n. 46, Dissenting Opinion of Judge Schwebel 349.
unlawful preemptive action.71 Gray argues that this was not because of doctrinal differences as to the scope of ‘armed attack’, but because the interest that Israel was claiming to defend was unlawful, namely illegal occupation or denial of the right of a people to exercise selfdetermination.72 However, the refusal to accept the doctrine predates the Israeli occupation of territories in 1967, and was not limited to Israeli claims.73 Some consider that Security Council Resolutions 1368(2001) and 1373(2001) mark a turning point in the Council’s approach towards repeated but separate attacks.74 The Resolutions affirm the right to selfdefence following a single incident on the basis that it (‘like any act of international terrorism’) constituted a threat to international peace and security, which states were empowered to combat by all means.75 This has been interpreted as acceptance of the wider interpretation of the right to self-defence. According to this view, the Security Council regarded unilateral action as neither reprisal nor anticipatory or preemptive action, but as self-defence against a continuous attack that had begun to take place, and included the threat of future attacks.76 In Nicaragua the ICJ appeared not unwilling to accept the doctrine as a matter of law, but found it inapplicable in the circumstances.77 In contrast, in Oil Platforms, where the US relied on it, the Court examined the US claims to self-defence only with regard to the incidents that have taken place, and disregarded the potential implications of the more general threat argued by the US. Some consider this an implicit rejection of the accumulation of events doctrine.78 However, the very fact that the Court examined whether each incident amounted to an armed attack is an implicit acceptance that self-defence is not limited to halting an ongoing offensive but may under certain circumstances follow an incident that has already ended not through the volition of the victim state.79 The Court’s position on the doctrine as a matter of principle thus remains unclear. The international support of Israel’s 2006 claim to a right of self-defence was in stark contrast to previous reactions.80 It is unlikely that the severity of the specific attack was a 70 Feder, loc. cit. n.62, at p. 416, B. Levenfeld ‘Israel’s Counter-Fedayeen Tactics in Lebanon: Self-Defense and Reprisal Under Modern International Law’ 21 Columbia J of Transnational Law (1982) 1, at 19. 71 For a detailed description see O’Brien, loc. cit. n. 67, at pp. 445 onwards. 72 Gray, loc. Cit. n. 68, at pp. 101-102; see also Bowett, loc. cit. n. 64, at pp. 18-19. Gray distinguishes military action in response to cross-border incursions by irregular forces onto the territory of the victim state from military action following attacks on nationals abroad. Claims of self-defence with regard to the latter, she claims, were rejected as unlawful reprisals, while in the former case, theoretically the ‘accumulation of events’ doctrine might be applicable, had it not been for the specific circumstances in which it was raised. This distinction is questionable. Whether an attack on nationals is on the territory of their national state (‘crossborder incursion’) or abroad (‘terrorism’) is often a matter of convenience. The means (attack of civilians) and purpose (political aims, exercise of self-determination or other) are the same. The irregular forces certainly do not regard the two types of action as qualitatively distinct. Accordingly, cross-border incursion on to a state’s territory and attacks on its nationals abroad form elements in a single sequence of events, and the doctrine should not be adopted with regard to the one but not the other. 73 Bowett, loc. cit. n. 64, at p. 8. 74 M.N. Shaw, International Law (5th edn 2003) p. 1028. 75 Res. 1368(2001) preambular paras. 1, 2 and operative paras. 1, 5; res. 1373(2001) preambular para. 3 and operative para. 8. 76 See also R. Wedgwood, ‘Responding to Terrorism: The Strikes against Bin Laden’ 24 YJIL (1999) p. 559 at 565; Müllerson, loc. cit. n. 3, at p. 180. 77 Nicaragua, loc. cit. n. 46, para. 231, Oil Platforms, loc. cit. n. 49, paras. 62-64. Gray, loc. cit. n. 72, at p. 108. 78 Ochoa Ruiz, loc. cit. n. 60, at p. 517. 79 Oil Platforms, in contrast to other situations where the matter was discussed, was not concerned with acts characterized as terrorist activity. 80 For detailed review of debates in the Security Council see O’Brien, loc. cit. 67.
caution in any categorical conclusions from the Wall Advisory Opinion. Judge Kooijmans reiterated his position that a large-scale attack by irregular force can qualify as ‘armed attack’’ for the purposes of Article 51.92 Judge Simma shared this view.93 Security Council Resolution 1701(2006) does not take an express position with regard to the lawfulness of Israel’s actions, yet it treats Israel’s use of force differently from Hizbollah’s.94 It calls for ‘the immediate cessation by Hizbollah of all attacks and the immediate cessation by Israel of all offensive military operations”. The differential use of ‘all attacks’ and ‘offensive military operations’ suggests that at least some of Israel’s acts were perceived as lawful by the Council. This necessarily implies that the right of self-defence does include action against an irregular force. If an act by an irregular force is not an ‘armed attack’ for the purposes of Article 51, it does not trigger the right to self-defence. It is nothing more than a criminal act against which the victim state may carry out law enforcement measures.95 The question is then how the victim State can enforce the law if the irregular force is operating from outside its territory. In the cases of both the Israeli action in the West Bank and the US action against Al Qaeda, law enforcement measures were technically possible. Israeli forces in the West Bank are entitled to carry out law enforcement measures under the law of occupation. The US could take law enforcement measures against Al Qaeda on Afghani soil because it considered itself entitled to send its forces to act there in self-defense against Afghanistan. By analogy, for Israel to be able to carry out law enforcement measures against Hizbollah, it needs to establish a right of self-defence against Lebanon,96 otherwise it had no jurisdiction to act in the latter’s territory.97 Regardless of the approach adopted vis-à-vis the capacity of non-state actors to commit an ‘armed attack’ within the meaning of Article 51, however, the responsibility of the state from which the attack emanated (the ‘host’ state) must be examined. 3.2 Attribution of Responsibility for the Attack to Lebanon Lebanon’s role with regard to the attack on Israel is important in two respects. First, if an act of an irregular force does not constitute an armed attack, Israel’s right to selfdefence depends on the existence of Lebanese responsibility for the attack98. Second, even if Israel has a right of self-defence directly against Hizbollah, the question remains whether Lebanon’s responsibility as a host State justifies action on its territory. right of self-defence. Judge Kooijmans in a separate opinion suggested that the ‘circumstances’ are the possible existence of a minimum threshold for state support for terrorists that qualifies as an armed attack. He too finds that the Court implicitly rejects the possibility of self-defence in response to action by an irregular force, paras. 20-25. There is no doubt that the Court has conflated the question of the extent of involvement of a host state with that of whether self-defence is contingent upon an armed attack by a state. 92 Congo v. Uganda, loc. cit. 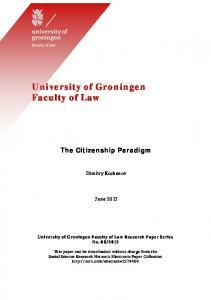 n. 49, Separate Opinion of Judge Kooijmans, paras. 26-31. 93 ibid., Separate Opinion of Judge Simma, paras. 8-15. 94 SC res. 1701(2006) operative para. 1. 95 McDonald (2002), loc. cit. n. 85 at p. 60. 96 infra 3.2 Attribution of Responsibility for the Attack to Lebanon. 97 It could ask Lebanon to cooperate through criminal law-enforcement measures. The inadequacy of such measures to counter Hizbollah needs little elaboration. 98 Another alternative is that Iran or Syria might be responsible for Hizbollah’s acts. Even if such responsibility is established, the question remains whether Israel may act on Lebanese territory in defence against an Iranian or Syrian attack. The analysis of this issue might resemble the analysis whether Israel may act on Lebanese territory in defence of an attack for which Hizbollah but not Lebanon is responsible, a matter considered infra at 4.1 Acting in Self-Defence against a Non-Assisting Host state. Press Conference with Prime Minister Olmert, 101 Statement by FM Livni on Hizbullah attack from Lebanon 12 July 2006 . 102 Chief Military Advocate Avichai Mandelblit, International Law Forum, Jerusalem 3 January 2007 (notes on file with the author). It has been hinted informally that this was in response to pressure from the US, and not because of any change in Israel’s legal position. 103 Cabinet Communique, 16 July 2006, . 104 supra n. 65.
International Law Commission Draft Articles on state Responsibility for Internationally Wrongful Acts Report of the International Law Commission on the work of its Fifty-third session (2001) UN Doc. A/56/10 (‘ILC Draft Articles’) Draft Articles 4-11. 106 Cf. 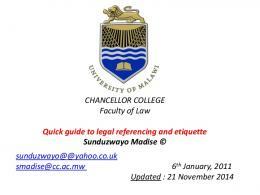 ILC Draft Article 4(2). 107 R. Sabel, ‘Hezbollah, Israel, Lebanon and the Law of Armed Conflict’ Jurist 25 July 2006. . 108 General List. No. 91, Judgement of 26 February 2007 para. 397. 109 The Disctric Court noted stated that Hizbollah was at best a militia under Art. 4A(2) of the Third Geneva Convention. State of Israel v. Hussein ben Ali Sleiman and Two Others, Criminal Requests (Nazareth) 2743/06, Decision of 19 October 2006, upheld in Mhamad Abdulhamud Srur and Two Others v. State of Israel Various Criminal Requests 8780/06, 8984/06, Supreme Court sitting as a High Court of Appeals, Decision of 20 November 2006. The Commission of Inquiry appointed by the Human Rights Council also referred to Hizbollah’s participation in Government and Parliament, and to the status of its military wing as ‘an armed group, a militia, whose conduct and operations enter into the field of application of article 4, paragraph 2(b), of the Third Geneva Convention of 12 August 1949’ (paras. 56-57, sic.). This was in the context of determining whether the conflict was international or not. In Bosnia v. Serbia the ICJ emphasized that the standard of link between an irregular force and a State required for establishing the character of a conflict is different than that required for establishing international responsibility, supra n. 108, para. 403-405. The same distinction would apply between the standard for POW status and the status for international responsibility. 110 ILC Draft Article 9. Another question is whether the exercise of governmental functions by Hizbollah is generally called for, as required by Draft Article 9. This is the crux of the matter, of course. The Lebanese position, advocated more enthusiastically by Hizbollah than by the Government but nonetheless agreed by the two, is that defence of the border with Israel is vital against Israel’s aggression. Israel refutes this and regards Hizbollah (and its precursors in the 1970s) as the source of conflict in the area 111 Cf. ILC Draft Article 5. E.g. the ministerial statement issued following the 2005 elections by the newly-elected Government endorsed Hizbollah’s right to possess military weapons to carry out a national resistance against the perceived Israeli occupation of Lebanese territory HRC Commission of Inquiry, supra n. 23, para 57. 113 , Prime Minister Siniora on 15 July 2006 commended the Lebanese people as it ‘embraced its national resistance…’ Speech of Prime Minister Siniora to the Lebanese People on 15 July 2006, available on the website of the Lebanese UN Mission, (‘Siniora Speech’). 114 The provision that excess of authority or contravention of instructions do not relieve a state of international responsibility applies to organs and persons empowered to exercise elements of governmental authority, ILC Draft Article 7. It does not cover persons acting in the absence or default of government. 115 Cf. ILC Draft Article 11. 116 A/61/PV.14 (21 September 2006) p. 8. 117 Ibid., p. 9.
ally of terror has chosen to be an enemy of freedom, justice, and peace’. . Oussama Damaj warns against the atmosphere in which ‘if you do not do what you are asked to do, that means you are against us, and if you are against us that means you are a terrorist or at least you symphathize with terrorists’, ‘The Problem of Responding to Terrorism’ San Remo supra n. 85, at p. 147. 129 J. Somer, ‘Acts of Non-State Armed Groups and the Law Governing Armed Conflict’ ASIL Insight 24 Aug 2006 ; T.M. Franck Recourse to Force (2002), at pp. 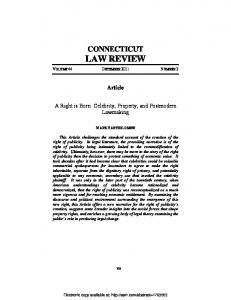 64-65; M. Bothe, ‘Terrorism and the Legality of Pre-emptive Force’ (2003) 14 EJIL p. 227 at 233. 130 R.P. Barnidge Jr ‘States’ Due Diligence Obligations with Regard to International Non-State Terrorist Organisations: The Heavy Burden States Must Bear,’16 Irish Studies in International Affairs 120 (2005). 131 B.A. Feinstein, ‘A Paradigm for the Analysis of the Legality of the Use of Armed Force Against Terrorists and states that Aid and Abet Them’ 17 Transnational Lawyer (2004) p. 51 at 59. 132 A. Cassesse, loc. cit. n. 122; O’Connell 2004-2005 loc. cit. n. 87, at p. 449; J.D. Paust, ‘Use of Armed Force against Terrorists in Afghanistan, Iraq and Beyond’, 35 Cornell JIL (2001-2002) 533, p. 540; S.R. 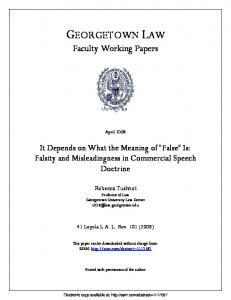 Ratner, ‘Jus ad Bellum and Jus in Bello after September 11’, 96 AJIL (2002) p. 905 at 908. 133 Byers , loc. cit. n. 87 at pp. 408-409. 134 See 4.1 Acting in Self-Defence against a Non-Assisting Host state. 135 Bowett rejects the notion that there is absolute liability, loc. cit. n. 64, at p. 20. 136 Congo v. Uganda, loc. cit. n. 49, para. 301. For a contrary position see Judge Kooijmans’ separate opinion, para. 82.
in the absence of any state responsible appears to have gained considerable ground. The rejection by other states of Israel’s right to self-defence was based on a different reading of the conflict, according to which the actions of Hizbollah are not unlawful. It does not bear on the doctrinal question of self-defence in response to acts of irregular forces. To summarize, no one, other than Israel, regarded Lebanon as responsible for the attack directly or because it did not prevent it. Nonetheless, there was wide acknowledgement of Israel’s right to self-defence. This supports the growing recognition of a right to self-defence against an armed attack by an irregular force not linked to any state. 4. THE EXERCISE OF THE RIGHT TO SELF-DEFENCE For military action to be a valid act of self-defence, it must be necessary and proportionate to the armed attack.143 The evaluation of compliance with either requirement depends on the interpretation of the right to self-defence. In the case of self-defence against an irregular force, a preliminary issue that must be addressed is the permissibility of operating in the territory of the host state when it is not responsible for the attacks. 4.1 Acting in Self-Defence against a Non-Assisting Host state In a case of inter-state armed attack, the right of self-defence of the victim state implies permission to infringe upon the attacker’s territorial inviolability. An armed attack by an irregular force operating from the territory of a state not responsible for its acts presents a challenge in this respect. Clearly the victim state must only target the irregular force.144 But is it entitled to operate against the irregular force on the territory of a host state that is itself not responsible for the attack and has not given its consent to such an operation? Indeed, one of the difficulties in acknowledging the right to self-defence against an irregular force is that it implies a right to use some measure of force in the territory of the host State.145 One approach is that in the absence of a host State’s responsibility for the armed attack, there is no right to self-defence on its territory. Gray argues that states that have carried out actions against irregular forces on the territory of host states have tended to accuse the host states for the attacks, apparently on the view that without the host State’s involvement there can be no action of self-defence on its territory. The same view appears to have guided the US in attaching responsibility to the Taliban and Afghanistan following 9/11.146 It might also explain the Israeli Prime Minister's statement, in which he attached direct responsibility for the attacks to Hizbollah, but at the same time maintained that Lebanon remained responsible.147 This approach entirely rejects the possibility of action in the territory of a host state unless it is responsible for the attack.148 O’Connell adds, however, . 143 Oil Platforms, loc. cit. n. 49, para. 51. Whether it must also be immediate is disputed, but in the circumstances not an issue, given that Israel responded within hours of the 12 July attack. 144 See also Wedgwood 1999, loc. cit. n. 76, at p. 566. 145 Unless the irregular force is operating from the high seas. 146 Gray, loc. cit. n. 72, at p. 99; Byers , loc. cit. n. 87 at pp. 408-409, Myjer and White, loc. cit. n. 87, at pp. 7-8. 147 Address to the Knesset by Prime Minister Ehud Olmert 17 Jul 2006 supra n. 103. 148 Byers, loc. cit. n. 87 at pp. 408-409; Paust, loc. cit. n. 132, at p. 539. However, Paust justifies the action in Afghanistan by the fact that the Taliban Government was not recognized 539-540. This is irrelevant. Nonrecognition of a government does not affect the rights of the state. This is also the import of Congo v. Uganda, loc. cit. n. 49, confirmed in Judge Koroma’s Declaration, para. 9.
such diligence renders the state ‘incidentally’ susceptible to military response without needing to make it directly responsible for the attack. 4.2 Necessity If self-defence only applies to repelling an attack in actual progress, then once a specific attack has ended by the attacker's own volition, there is no necessity for self-defence and any further military action constitutes reprisals. If, on the other hand, a series of incidents is also regarded as an attack which gives rise to a right of self-defence, then the prevention of future attacks is equivalent to the repelling of an ongoing one. Under this latter interpretation Israel’s response could be considered prima facia necessary. One aspect of the requirement of necessity of the military response is that the state attacked did not, in the particular circumstances, have had any means of halting the attack other than recourse to armed force.155 This does not inescapably mean that Israel should have negotiated with Hizbollah before resorting to force. Leaving aside the question whether the exhaustion of peaceful means includes negotiations with an irregular force that does not abide by basic principles of international humanitarian law (e.g. distinction), clearly there was no realistic prospect of direct negotiations leading to termination of the immediate attack as it was perceived by Israel (i.e. by release of the soldiers and abandonment of the use of force). Another peaceful measure Israel could theoretically have taken was to request Lebanon to intervene to secure the release of the soldiers. Given the relationship between Lebanon and Hizbollah, and in view of previous incidents of abduction, the efficacy of such an approach is doubtful.156 As the international community, acting together through Security Council Resolution 1559(2004), failed to prompt Lebanon to take a strong stance against Hizbollah, there was no reason to assume that a direct Israeli request would achieve this. The requirement of necessity also entails that the forcible measure taken was prima facie capable of achieving this goal157. Doubts have been raised as to the effectiveness of Israel’s response in this respect. In the Security Council debate, Ghana commented: ‘The use of force to combat terrorism has often proved to be counterproductive’.158 Many states repeated the usual mantra that peace in the Middle East cannot be achieved through force.159 The goal they set, it must be noted, was far more ambitious than that of Israel, which were, in the immediate phase, the return of the abducted soldiers, ending the threat posed by Hizbollah (namely the bombardment of civilian communities) and the removal of Hizbollah from the area. In terms of realistic prospects of achievement, the first two goals can be regarded as necessary. 4.3 Proportionality The standard for proportionality depends on the scope of the right to self-defence. If the right is limited to repelling an ongoing attack, a proportionate response should be similar in scale to the armed attack.160 If the right also includes the prevention of future attacks, then proportionality should be measured against the pending threat, which can be projected from previous attacks.161 The constant firing of rockets on civilian Israeli communities gave a reasonably good idea of the threat at issue. The asymmetry between the immediate trigger of the conflict and the scale of Israel’s response does not by itself indicate the disproportionality of Israel’s response. Instead the objectives of Israel’s campaign must also be evaluated. If they are excessive with regard to the threat, or if the means to achieve them were excessive, only then the requirement of proportionality was not complied with. The special circumstances, namely that Lebanon was not held responsible for the attacks, yet was inevitably affected by the Israeli response, suggest that a particularly stringent test might be appropriate in assessing the proportionality of the response. Israel was explicit from the start that the immediate goal of its military action was the return of its abducted soldiers162 but that this was not the only goal. It also aimed to end the threat posed by Hizbollah,163 declaring on 16 July: ‘It must be clear that Israel will not return to the status quo that prevailed before last Wednesday; this situation was intolerable from the outset’.164 Prime Minister Olmert outlined the objectives of the Israeli military action:165 And in Lebanon, we will insist on compliance with the terms stipulated long ago by the international community…: The return of the hostages…; A complete cease fire; Deployment of the Lebanese army in all of southern Lebanon; Expulsion of Hizbollah from the area, and fulfilment of United Nations Resolution 1559... We will search every compound, target every terrorist who assists in attacking the citizens of Israel, and destroy every terrorist infrastructure, everywhere... Israel will not agree to live in the shadow of missiles or rockets against its residents. Minister of Foreign Affairs Livni added that166 ‘[there] is comprehensive agreement that a cease-fire alone is not enough, but also the unconditional return of the [abducted] soldiers and the full implementation of UN Security Council Resolution 1559, in order to keep Hizbollah from establishing itself as the regional provocateur’. proportionality as a criterion for jus ad bellum, i.e. between the military action and the attack or threat, with the proportionality as a criterion for jus in bello, i.e. between the military advantage and the collateral damage to civilians and non-military objects.170 The two types of proportionality are not identical. A defensive military campaign might be proportionate to the attack, but specific tactics or attacks might contravene jus in bello.171 Thus, to conclude from excessive collateral damage that the entire operation is in excess of the right of selfdefence is erroneous. However, at issue was possibly the fact that the damage was inflicted upon a Lebanese population which was only ‘incidentally’ involved. In some cases this link between ius ad bellum and ius in bello was express. EU envoy Javier Solana stated on 19 July, following a visit to Lebanon:172 I have been in Lebanon, I have spent a night in Lebanon and I see the suffering of the people. And I do not see what that has to do with the battle against Hizbullah. The battle against Hizbullah is important. Another thing is to weaken a country. In other cases the link was less apparent. For example, Norway urged Israel ‘not to resort to disproportionate action. We must prevent the violence and conflict from expanding into neighboring areas’.173 To summarize, proportionality under the jus ad bellum weighs the intensity of military action against the attack or threat. Israel’s perception of the threat and of the means to prevent it was expansive, and its response reflected it. Controversy remains both on the objectives of the campaign and the means employed to achieve them. This links jus ad bellum and jus in bello issues. 5. EPILOGUE Following the war, the Israeli Government decided to appoint a governmental commission of inquiry ‘to look into the preparation and conduct of the political and the security levels concerning all the dimensions of the Northern Campaign which started on July 12th 2006’174. On 30 April 2007 the Winograd Commission175 issued an interim report covering the period from the IDF’s exit from Lebanon in 2000 to 17 July 2006. Although the Commission did not address questions of international law, some of its factual findings are of interest in the current analysis. In the report, the Commission acknowledged the mandate of the politicians to decide on replacing the policy of containment by one of strong response. However, it found that in deciding to go to war, the Government did not consider the whole range of options, including that of continuing the policy of ‘containment’, or combining political and condemnation of the military actions that have caused the deaths of hundreds of innocent Lebanese and Palestinian civilians and the destruction of basic infrastructure… on Lebanese territory’, ibid., p. 9. Algeria: ‘In addition to its disproportionate response and the excessive use of force against the innocent population and vital civil infrastructure of Lebanon…’, ibid., p. 22; Guatemala: ‘Our country is extremely concerned at the Israeli military actions, in particular at the excessive use of force; the destruction of civilian infrastructure…’, ibid., p. 41. 170 Art 51 (5)(b) of Additional Protocol I. 171 R. Kirgis ‘Some Proportionality Issues Raised by Israel’s Use of Armed Force in Lebanon’ ASIL Insight 17 August 2006 . 172 Joint press conference by FM Tzipi Livni and EU Envoy Javier Solana, 19 Jul 2006, 173 S/PV.5493 Resumption 1 (21 July 2006) p. 23. 174 Government Decision 525 of 17 September 2006. 175 So named after its chairman, former justice Eliyahu Winograd. diplomatic moves with military strikes below the ‘escalation level’, or military preparations without immediate military action. While the reasons that the Commission considered such deliberation to have been necessary are not directly relevant to the legality of Israel’s response under international law,176 its finding on the absence of any discussion whatsoever, is. If the course of action was not debated, neither before going into battle nor during battle, then it could not have been established that no alternative measures were available.177 The Commission conceded that a potential argument for taking immediate military action was that any delay would result in international pressure not to take military action.178 However, under international law, if continuing the policy of containment and not resorting to force had been sufficient, it should have been preferred. Moreover, the Commission found that there was no systematic debate regarding the suitability of the military measures undertaken to the declared objectives of the war.179 This applied both with regard to the overall objectives of the operation, and with regard to the choice of an aerial campaign as opposed to a land campaign180. The absence of delibration as to the necessity and proportionality of the action may raise doubt on the legality of the action under international law. 6. CONCLUSIONS The analysis highlights the evolving role of irregular forces, and its impact on existing international legal norms. Many related issues have long been under debate, such as the qualification of repeated cross-border incursions as armed attacks, or the standard for measuring proportionality in self-defence. Relatively recent developments and perceptions shed new light on these issues, although a full picture of any new law is slow to emerge. Each development is unique in its circumstances. The 9/11 attacks, the construction of the Separation Barrier in the West Bank, and the conflict in Lebanon, differ in the magnitude of the attacks, their frequency, their territorial source, and their political background. In this respect the Lebanon conflict re-introduces, albeit with new characteristics, an old challenge, namely the regulation of conflict between a state on the one hand, and an irregular force acting from the territory of a passive neighboring state, on the other hand. A few tentative conclusions may be possible at this stage. First, the wide acceptance of Israel’s claim to self-defence, in a marked difference to past reactions, reflects the shifting attitudes towards acts of irregular military forces, particularly when characterized as terrorist acts. Second, there appears to be greater acknowledgement that the term ‘armed attack’ must be interpreted with elasticity to accommodate not new, but increasingly visible, phenomena. Finally, the recognition of a right to self-defence against an irregular force requires a more careful exploration of the relationship between the victim state and the host state. For example, the extensive criticism of Israel’s excessive use of force may eventually overshadow the acknowledgement of its right to self-defence. This conflict is therefore likely to play a role in the development of international law in many of the issues considered here. 176 The Commission determined that such options were necessary for Israel to maintain for Israel the full range of responses to the abduction. 177 Commission of Inquiry into the Events of the Military Campaign in Lebanon 2006 (Winograd Commission), ‘The Second Lebanon War, Interim Report’ (April 2007) para 25. 178 ibid., Para 24. 179 ibid., Para 29. 180 The commission noted that the decision to carry out attacks only from the air was from the start clearly insufficient to prevent rocket firing on civilian settlements in Israel, Para 23. The latter issue is a tactical one, which concerns ius in bello more than the question of the legality of the resort to force. The former, however, is a strategic question which falls within the ius ad bellum sphere. Report "Faculty of Law - SSRN papers"